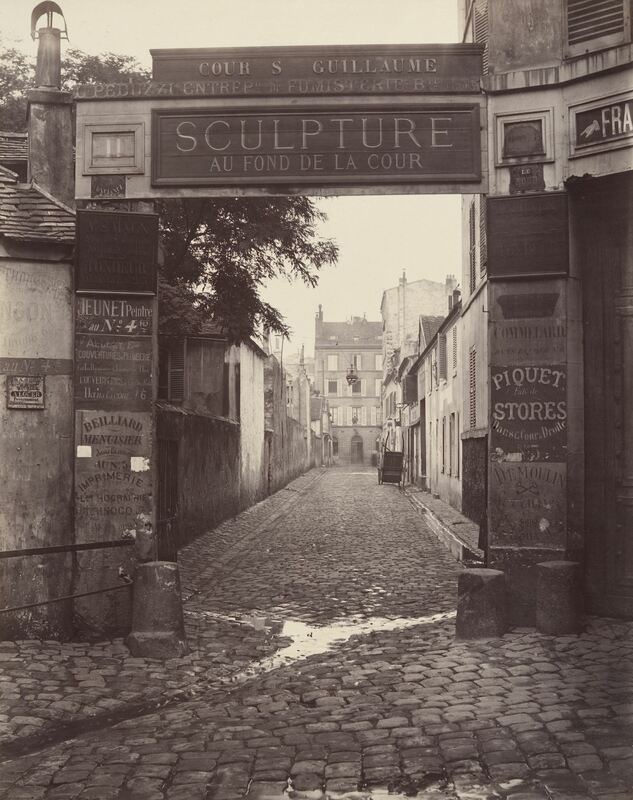 Widely acknowledged as one of the most talented photographers of the 19th century, Charles Marville was commissioned by the city of Paris to document both the picturesque, medieval streets of old Paris and the broad boulevards and grand public structures that Baron Georges-Eugène Haussmann built in their place for Emperor Napoleon III. Charles Marville: Photographer of Paris at The Metropolitan Museum of Art presents a selection of around 100 of his photographs. Concurrent with Charles Marville: Photographer of Paris, a related installation in the adjacent Howard Gilman Gallery will be on view at the Metropolitan Museum. Paris as Muse: Photography, 1840s-1930s celebrates the first 100 years of photography in Paris and features some 40 photographs, all drawn from the Museum’s collection. The installation focuses primarily on architectural views, street scenes, and interiors. It explores the physical shape and texture of Paris and how artists have found poetic ways to record through the camera its essential qualities.